You can also take some preventive steps at home to manage your blood pressure better. Here are some diet tips, foods & lifestyle changes to manage high BP. High blood pressure is a condition caused by elevated pressure exerted by the blood against the walls of the arteries. As many as 1.13 billion people suffer from high blood pressure worldwide. If left untreated high blood pressure can also up risk of stroke and death. 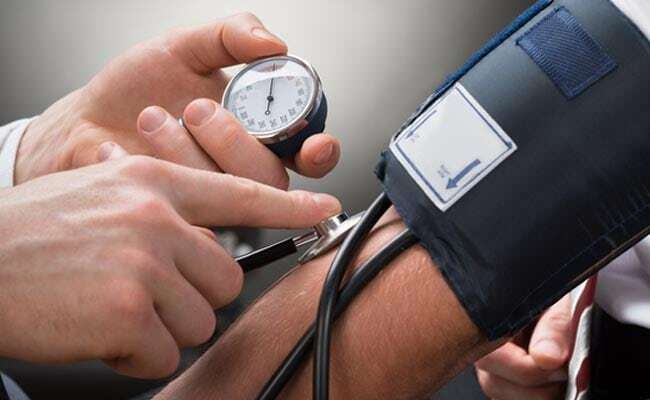 If your blood pressure is higher than 130/80, you are in the risk zone for high blood pressure or hypertension, if your levels are consistently high, you must consult a doctor and take proper medication. Additionally, you can also take some preventive steps at home to manage your blood pressure better. Here are some diet tips, foods & lifestyle changes to manage high BP. 1. Eat less salt: For High blood pressure patients it is imperative to monitor their sodium intake. Salt makes your body retain water. The excess water puts stress on your heart and blood vessels, which further makes them constrict and cause a surge in blood pressure levels. 2. Include more potassium rich foods in your diet: Potassium can cancel out the ill-effects of sodium and regulate blood pressure levels. 3. Eat a balanced diet. Include more of whole grains, pulses, lentils, leafy greens and nuts. Saturated fats are also a strict no-no, so are high cholesterol foods. 4. Watch your portion sizes, overeating foods especially the ones laden in oil and salt could spike blood pressure levels. 5. Ditch unhealthy snacking. Indians are used to snacking, especially on fried food. This habit can cause your blood pressure levels to surge. 1. Exercise to stay fit and to keep your BP within recommended levels. Some form of exercise or physical activity is recommended to keep blood pressure in check. 2. Keep away from alcohol as much as possible. Quit smoking because nicotine is said to increase blood pressure. 3. Sleep: If you don't want to lose sleep over high blood pressure, then get at least 6-7 hours of sleep every night. Studies have found that the fewer hours of sleep you get, the higher your blood pressure is. Bananas are extremely low in sodium; and very rich potassium, which happens to be a win-win combination for your high blood pressure levels. You can have them alone, or add it to your cereal, cake, bread, smoothies and milkshakes. Avocados are packed with oleic acid, which can reduce high blood pressure and cholesterol levels. Avocados are also rich in potassium and folate, both of which are good for heart. An antioxidant treasure trove, Avocados are loaded in vitamin A, K, B & E and fibre too. Watermelon contains an amino acid called L-citrulline, which has proven to lower blood pressure. Watermelon has heart friendly fibres, lycopenes, vitamin A and potassium. You can add them to salads and blend them in smoothies. Watermelon seeds are highly nutritious superfoods too. Sweet potatoes are not only high in potassium but in other heart-healthy nutrients as well like magnesium and manganese. Spinach is packed with lutein. Lutein prevents thickening of walls of arteries, thus reducing the risk of heart attacks and blood pressure. Moreover, spinach is packed with potassium, folate and magnesium, which further ensures that your blood pressure levels are in check.